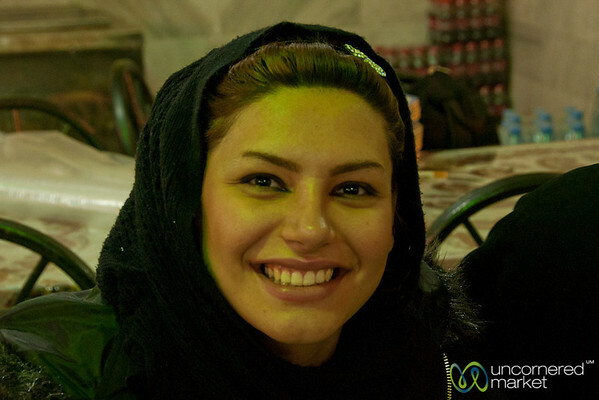 A series of portraits of Iranian people from the three weeks we spent traveling through Iran in November 2011. 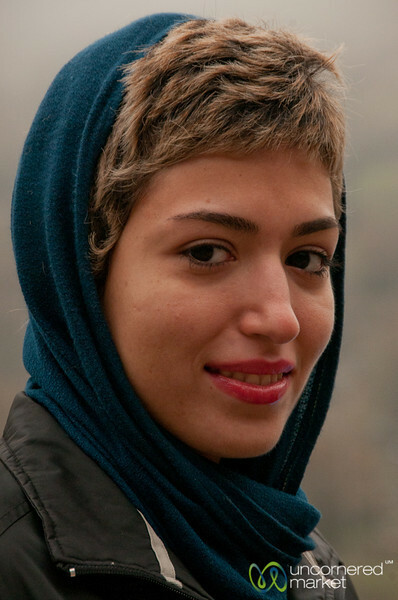 Portrait of a young Iranian woman in Masuleh, Iran. 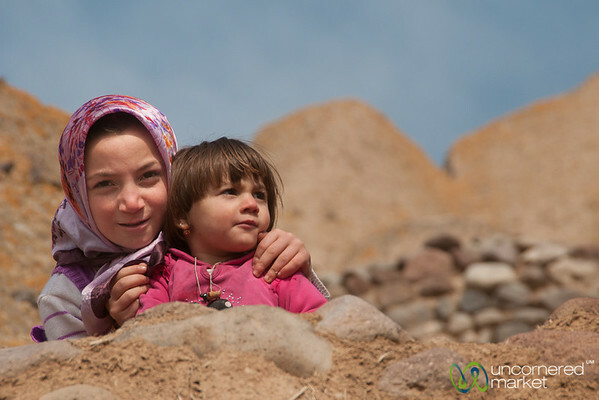 Iranian girls in the mountain villlage of Kandovan in northwest Iran. 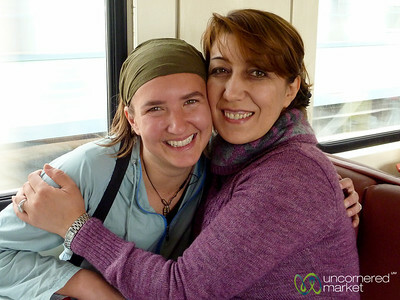 Befriended and welcomed by this Iranian woman on the train from Iran to Turkey. 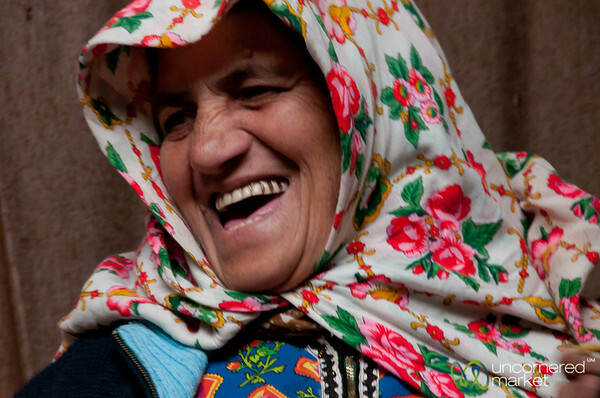 Abyaneh woman in mountains in Iran. 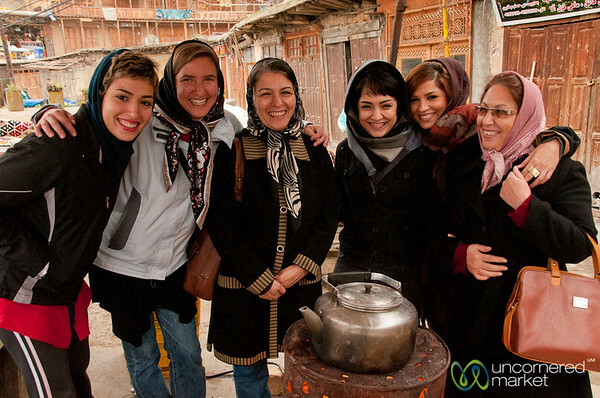 Audrey huddles around an outdoor stove with a group of Iranian women in the mountain village of Masuleh, Iran. An Iranian girl laughs and plays games with us in Yazd, Iran. 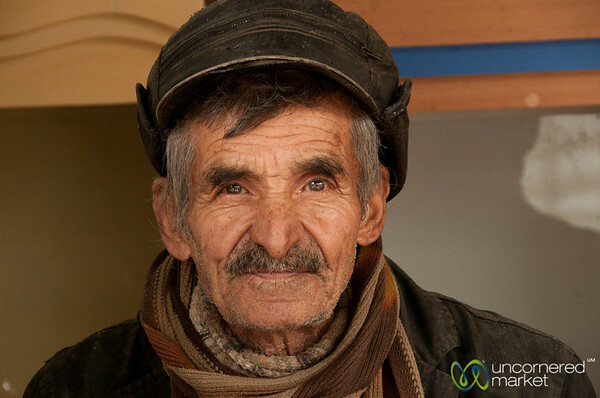 A sweet older Iranian man at the market in Hamadan, Iran. 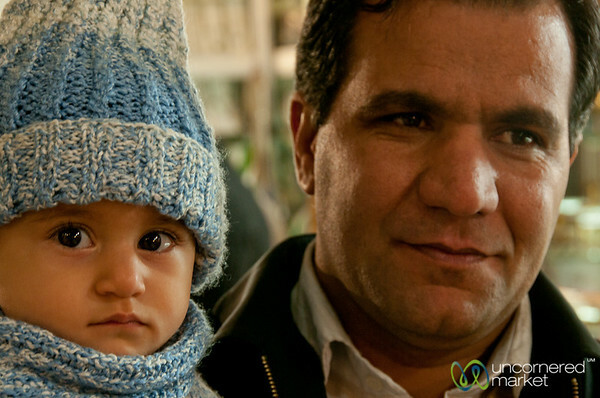 Dan befriends a gregarious baker at the market in Rasht, Iran. 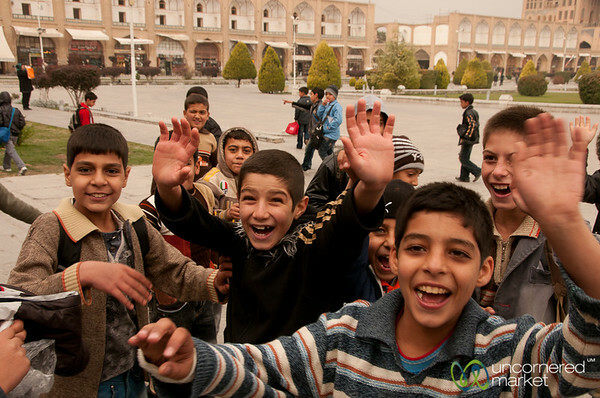 Iranian boys on a school field trip at Imam Square in Esfahan (Isfahan), Iran. 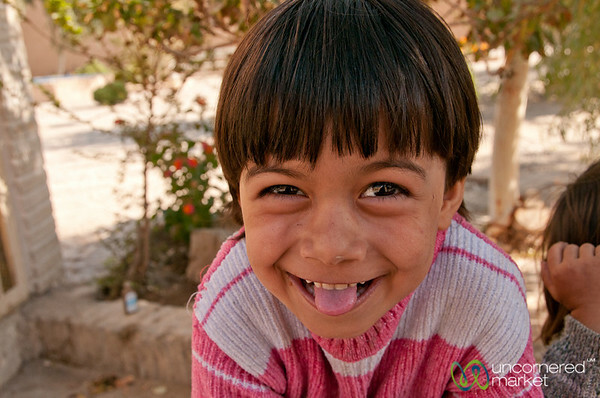 An Iranian woman flashes a beautiful, big smile at a restaurant outside of Kermanshah, Iran. 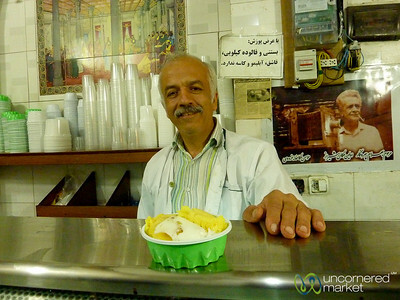 Saffron pistachio homemade ice cream in Shiraz, Iran. 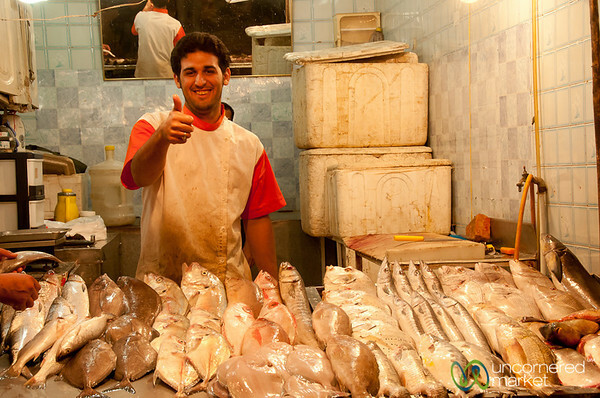 A friendly fish vendor at the market in Ahwaz, Iran. 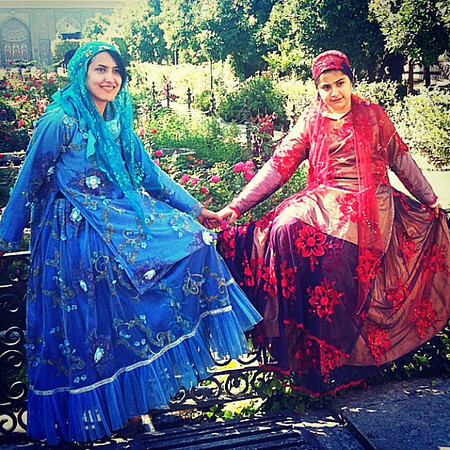 Hamming it up with some university students in Isfahan, Iran. 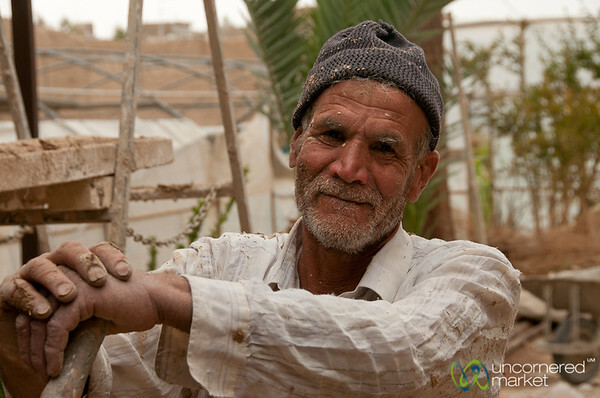 Iranian construction worker. 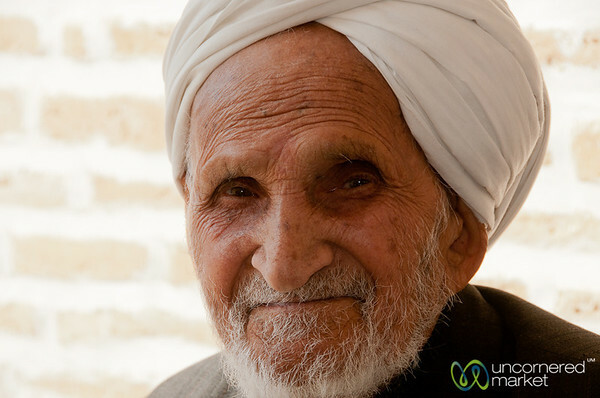 Taken between Shiraz and Yazd, Iran. Dan with a group of Kurdish truck drivers at a roadside kebab place outside of Kermanshah, Iran. 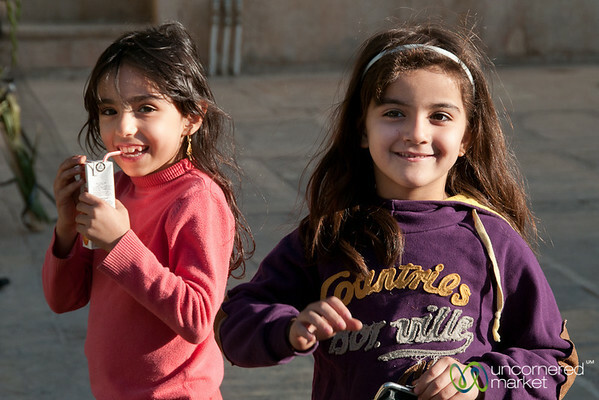 Couple of young girls having fun in the courtyard of the Aramgah-e Shah-e Cheragh (Mausoleum for Imam Reza's brothers) in Shiraz, Iran. 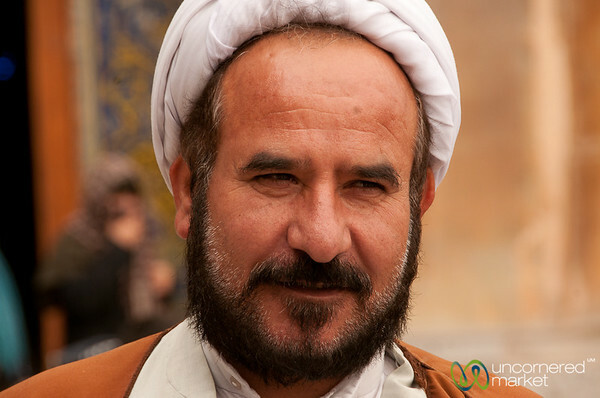 Friendly Iranian Imam outside the Imam Mosque with a group of students in Esfahan (Isfahan), Iran.